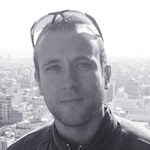 Shlomi Oberman is an independent security researcher with over a decade of experience in security research. Shlomi spent many years in the attacker’s shoes for different companies and knows too well how hard it is to stop a determined attacker. In the past years his interest has shifted from breaking things to helping stop exploits – while software is written and after it has shipped. Shlomi is a veteran of the IDF Intelligence Corps and used to head the security research efforts at NSO Group and other companies.